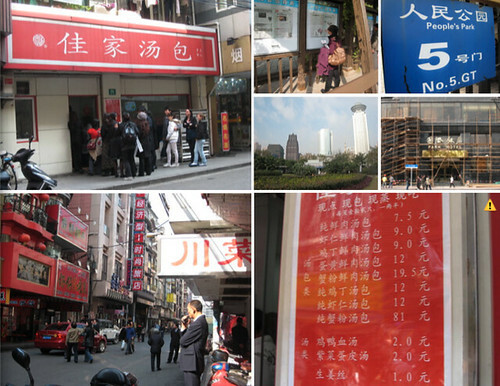 Day 2 in Shanghai started around Nanjing Lu visiting the People’s Square, or so that was the plan. My excellent sense of direction, which is about 98% accurate, still jetlagged and disoriented, lead me to somewhere unexpected. We walked out of the subway, through an underground shopping mall, to the front a park with manicured lawns, trees, ponds, bridges, and flower beds that was surrounded by modern high rises. The park was peaceful and a nice change of pace from the rest of the hustle and bustle of Shanghai. There were seniors reading the paper, men and women doing tai chi, lovers strolling and children playing. I found the People’s Park instead of the People’s Square. Opps. Close enough right? My sense of direction lead me one step closer to Jia Jia Tang Bao. 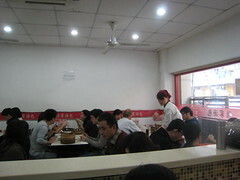 Right across People’s Park and next to Park Hotel was Huanghe Lu, a street famous for its street food. About a block in, you’ll notice two restaurants across from one another filled with long lines - Jia Jia Tang Bao to the right and Yang’s Fry Dumplings to the left. After my disappointment with the dumplings at Yu Yuan. We decided to try Jia Jia Tang Bao. 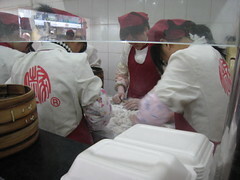 At 11:35 am on a Wednesday, I stood in line at Jia Jia Tang Bao for about 25 minutes. The line grew longer as it became closer to 12 noon. By the time I got to the front of the line only 6 out of 8 of the varieties of dumplings were available. Before sure to get there early, Jia Jia Tang Bao closes when they sell out. The restaurant is small. For some good dumplings, get ready to sacrifice some personal space. If you have less than 4 people, you will be asked to share a table. 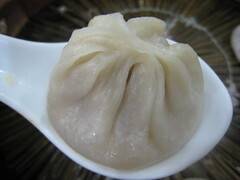 Pork Soup Dumplings (7.5 Yuan) - Thin soft, delicate skin with the right amount of soup with a ball of well-seasoned pork. 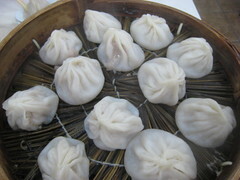 Shrimp and Pork Soup Dumplings (9 Yuan) - If you like shrimp then you might like these dumplings. The shrimp over powered the taste of the pork. 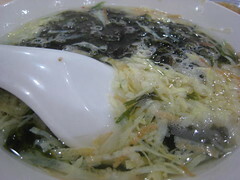 I was happy with Jia Jia Tang Bao. Since we have Ding Tai Fung in LA, I decided not to try the Shanghai one. Jia Jia Tang Bao is only marginally better than the DTF in LA, but it was 1/12 the cost! I'm glad that I have awesome soup dumplings close to where I live, it beats flying over the pacific every time I crave one of these babies!